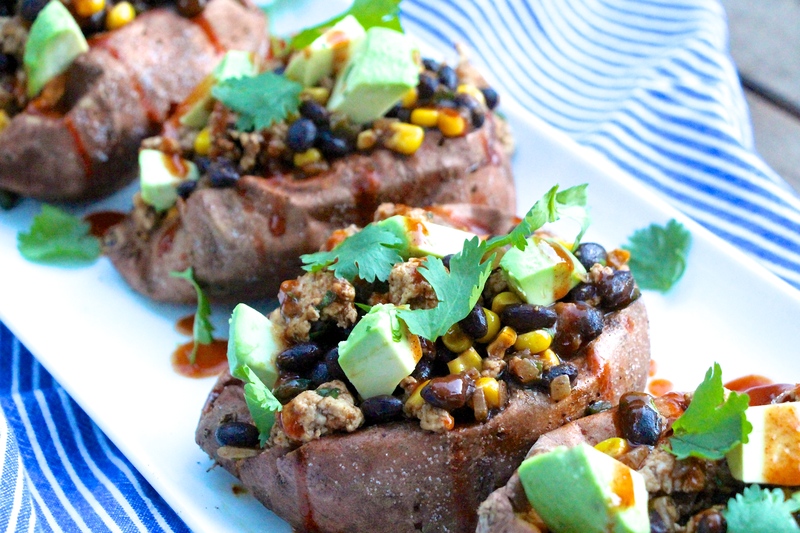 We loving filling sweet potatoes with savory deliciousness. Plus, we are Texans, and us Texans love us some enchiladas! Put the two together and what do you get? Pure joy for your bellies! 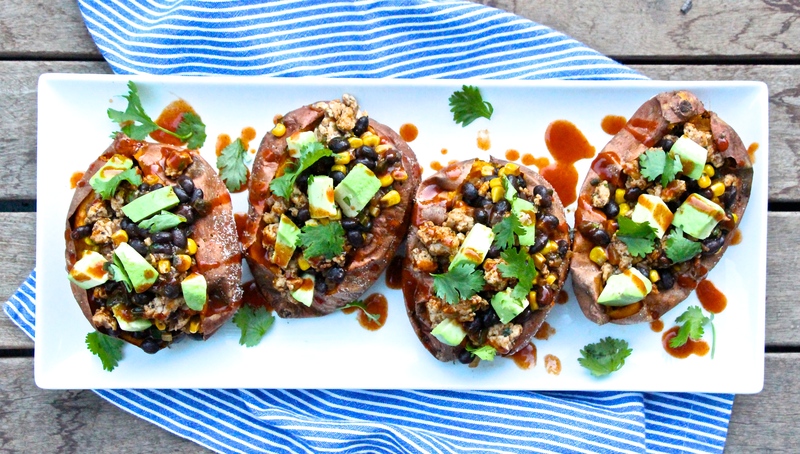 We just love the way that the sweet compliments the salty-spicy mixture of enchiladas in this tex-mex take on stuffed sweet potatoes. 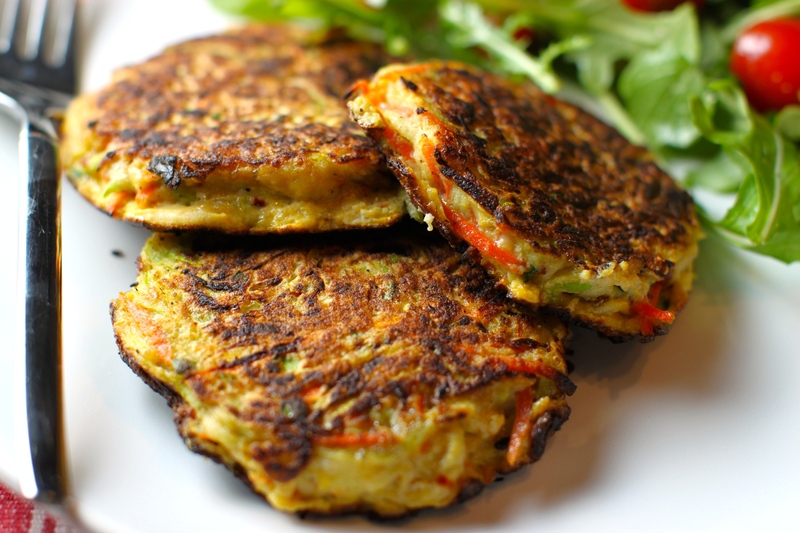 It is also so easy to make–while those sweet potatoes are baking, saute your meat mixture. Throw the mixture inside the potato and BAM! A satisfying dinner is served. Enjoy! 2. Scrub and pat dry the sweet potatoes. Rub olive oil all over, and lightly coat each of the potatoes (you’ll use about 2+ tbsp. total). Next, prick them a few times with a fork, then generously season them all over with salt. 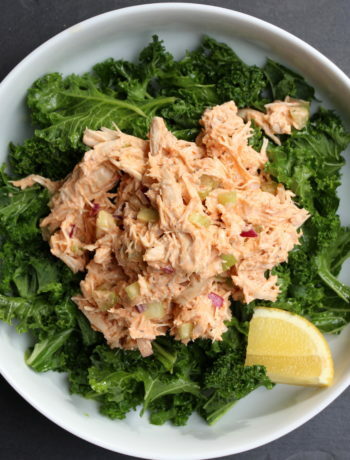 Place on a cooking sheet and into the oven. 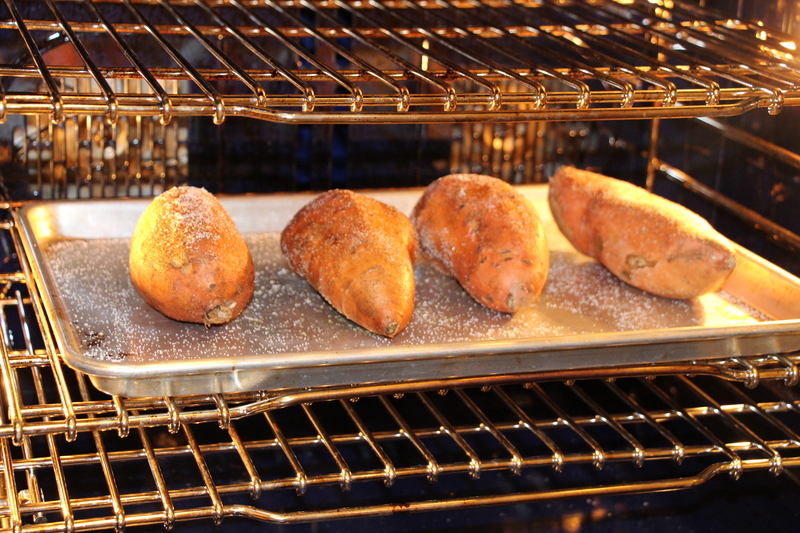 Bake for about 40 minutes, or until tender. 3. Meanwhile, lets make the stuffing. With about 20 minutes left on your time until potatoes are done baking, heat a large skillet over medium-high heat. 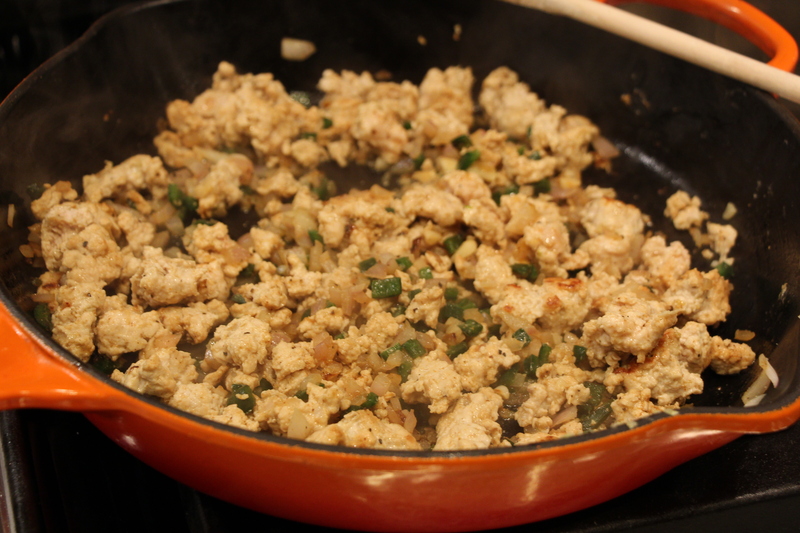 Add ghee (or oil/butter), the diced onions and poblano, the minced garlic, and the ground turkey breast. Cook, breaking up the turkey, until brown throughout, about 5-7 minutes. Mix in the salt, pepper, cumin, cayenne, and chili powder during the cooking process to season the meat. 4. Turn heat down to low. 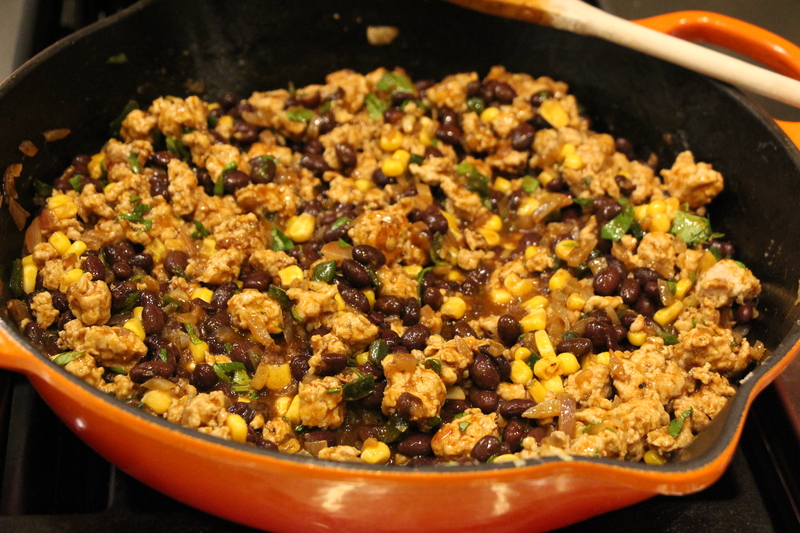 Add in the drained/rinsed black beans, the frozen corn, 1/2 cup of the red enchilada sauce, and 1/4 cup of cilantro. Simmer on low until the sweet potatoes are ready to be stuffed (or at least 8-10 minutes), stirring occasionally. 5. 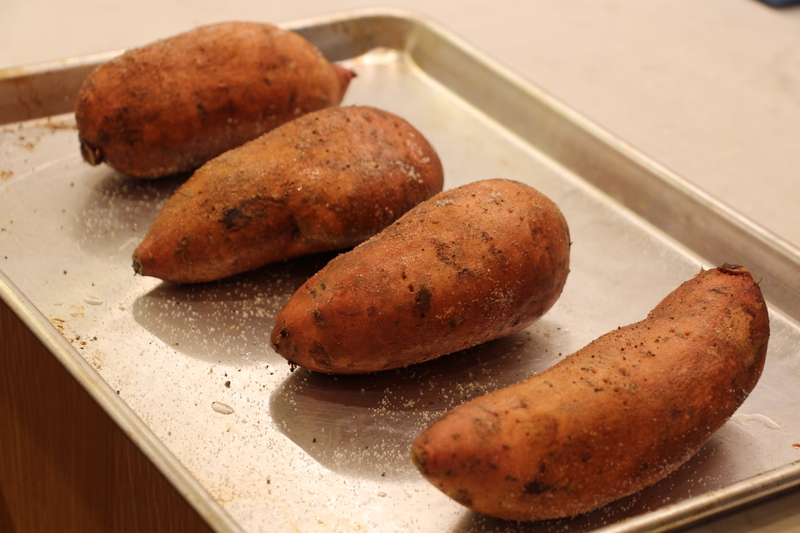 When cooked, remove the sweet potatoes from the oven. When cool enough to handle, cut slits in the tops of the sweet potatoes and open them up using a fork. 6. 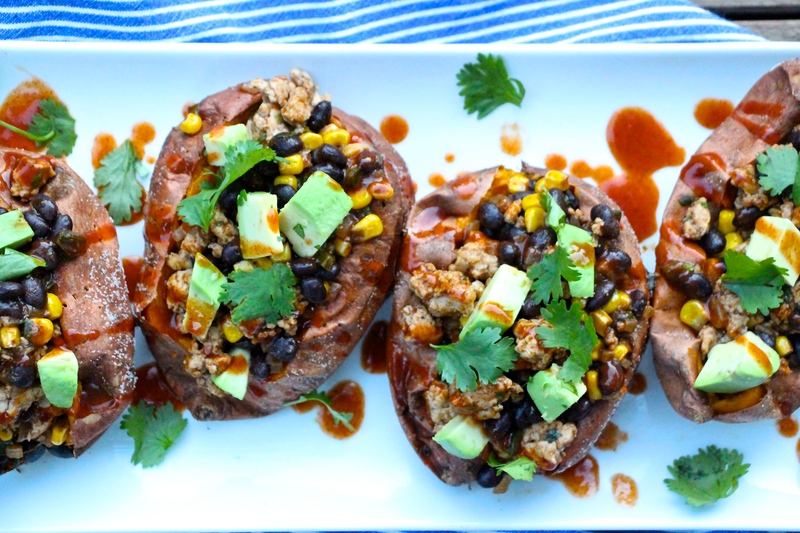 Spoon desired amount of turkey filling into each sweet potato. 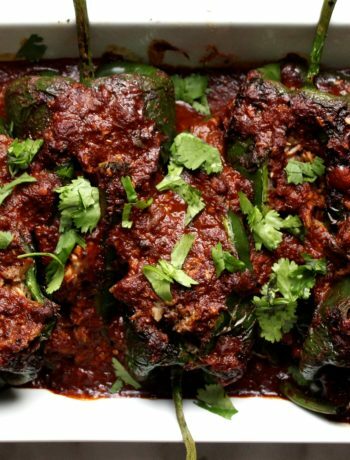 Drizzle with enchilada sauce. Garnish (if you want) with cubed avocado and cilantro. Recipe Adapted from Against All Grain.